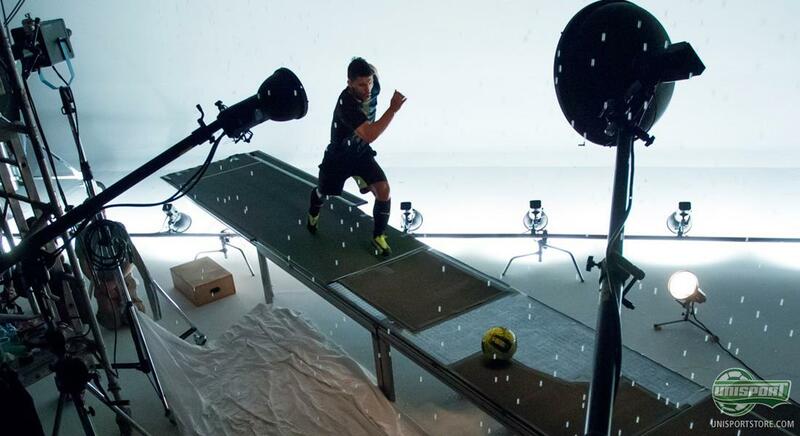 Puma are today revealing their new speed boot, evoSPEED 1.2, which is the next generation of their popular evoSPEED series. The boot focuses on low weight, flex and fit, and can be spotted on the feet of Agüero, Falcao, Giroud and many more in the near future. With the introduction of the evoSPEED 1.2, Puma have taken yet another step towards helping players maximise their speed on the pitch. For the first time ever, the boot has been designed with the Puma name written on the medial side of the boot, a place that has always been reserved for the well-known form stripe. Are you liking the boot? Pre-order your Puma evoSPEED 1.2 Black/Fluorescent right here  just 174. The new evoSPEED 1.2 is made to help players reach their top speed fast, and doing this without compromising neither stability nor comfort. This is possible due to a super thin upper made of a one layer synthetic microfibre, together with the internal EverFit Cage technology for stability and support around the midfoot. The upper is equipped with a range of small, sticky bumps, which serve to increase your ball grip, especially in wet conditions  simultaneously. The outsole and stud system are designed with the aim of maximal pitch grip, as well as, optimised manoeuvrability. Therefore, the studs have been made thinner, but longer compared to the last evoSPEED. On the heel, the evoSPEED 1.2 is equipped with an external heel counter that keeps the foot stable and provides protection against kicks and knocks. At the same time, Puma also introduce their Speedtrack torsionbar under the midfoot, which ensures a fast transition of speed from heel to toe  which results in a boot that reacts fast to your movements. Under the forefoot, Puma have expanded the Duoflex technology from the evoSPEED 1 by adding more ridges, which will bend in accordance to the foot and hereby follows the natural movements of the foot, much in the same way as a sprinters show would do. The Puma evoSPEED 1.2 is tailored for speed, but still manages to live up to the three key elements fit, flex and low weight. There has been special attention to low weight, and the evoSPEED 1.2 weighs in at only 188 grams for the synthetic version. 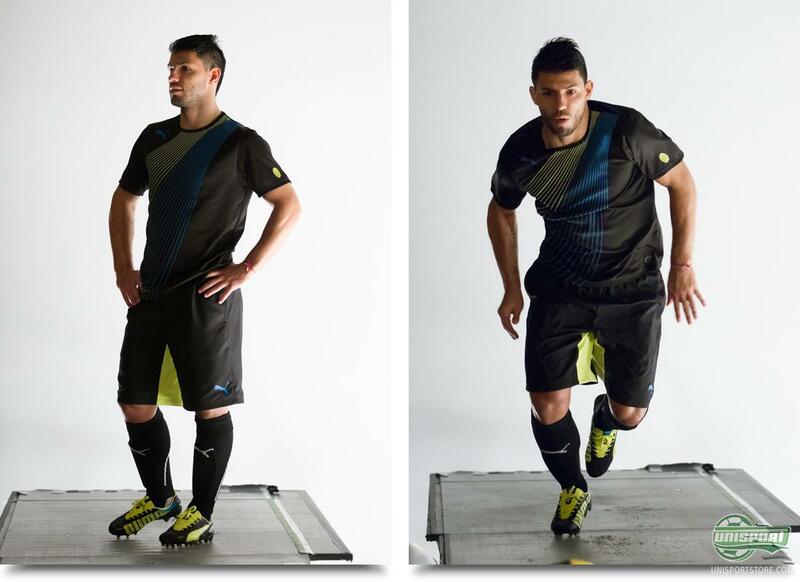 The boot will already get its début this weekend, as Agüero, Giroud, Clichy, Falcao and numerous other Puma players will hop in the new, Black/Fluorescent Yellow evoSPEED 1.2. It is also exciting to see whether the gentlemen will choose the synthetic or the leather version, as the boots will come with both two different upper choices. Radamel Falcao has already made up his mind and will wear the leather model, which he will show off for the first time in the Copa del Rey final this weekend. 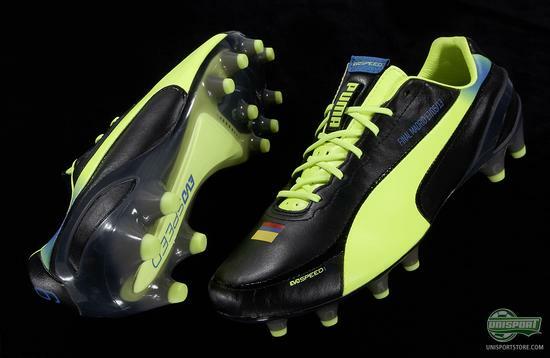 Puma have, as we have been accustomed to, already sorted him out with his number 9 on the heel and a fitting Copa del Rey inscription on the side. The Puma stars were ready to show up with the new boot on the feet, and Sergio Agüero even features in their new advertisement campaign for the new evoSPEED 1.2, where he got to know his new 'tool' a bit better. Would you like to join the evoSPEED 1.2 team? Then pre-order your own pair right here  just 174. 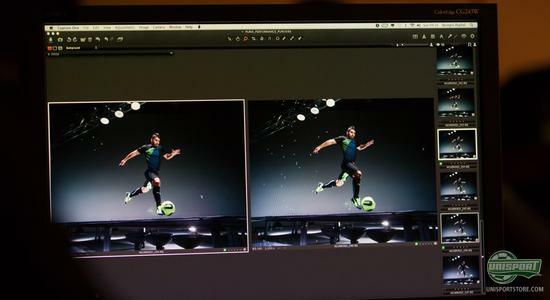 Our photographer has already had his hands on the new evoSPEED 1.2, both synthetic and leather, and we will of course take an even closer look at the boot later today  so stay tuned! 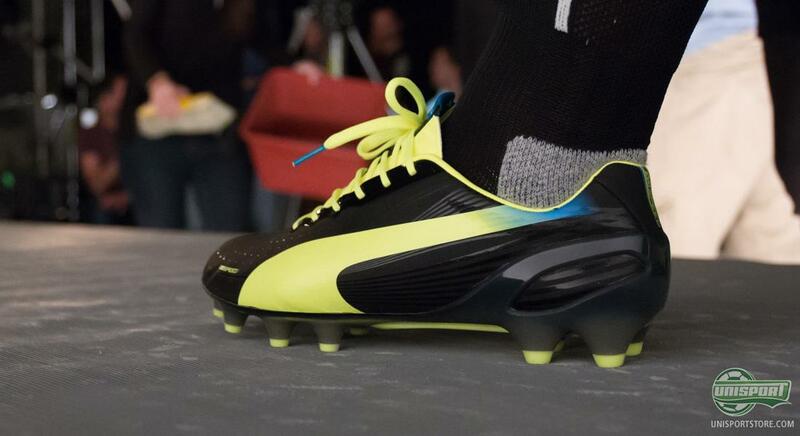 What do you make of Puma's latest addition to their SPEED category? 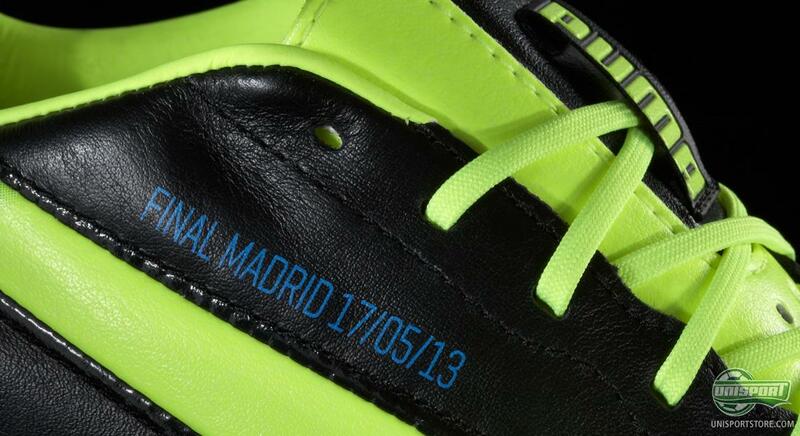 Do you like the new touch with the Puma name written on the medial side; and would like the boot yourself? Feel free to share your opinion in the comment box below.